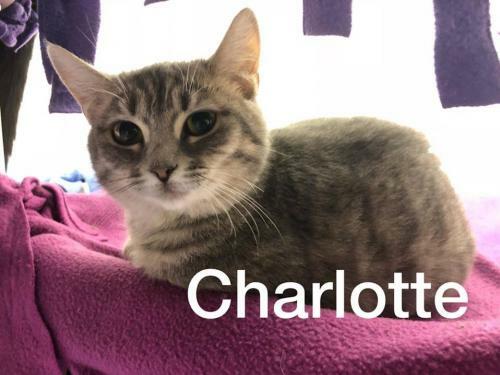 Charlotte, is a short-haired small grey tabby female kitten. 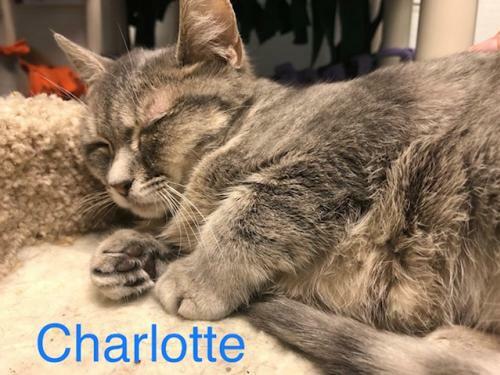 Rescued from Jasper County Animal Control, Charlotte, currently would love to find a forever family to call her very own. 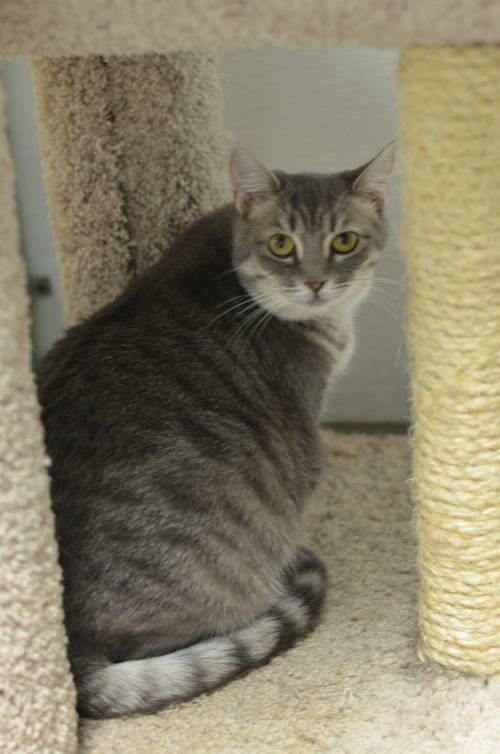 With pretty yellow-green eyes and the cutest pink nose, this shy little girl would love to get the chance to meet you - fill out an application today!